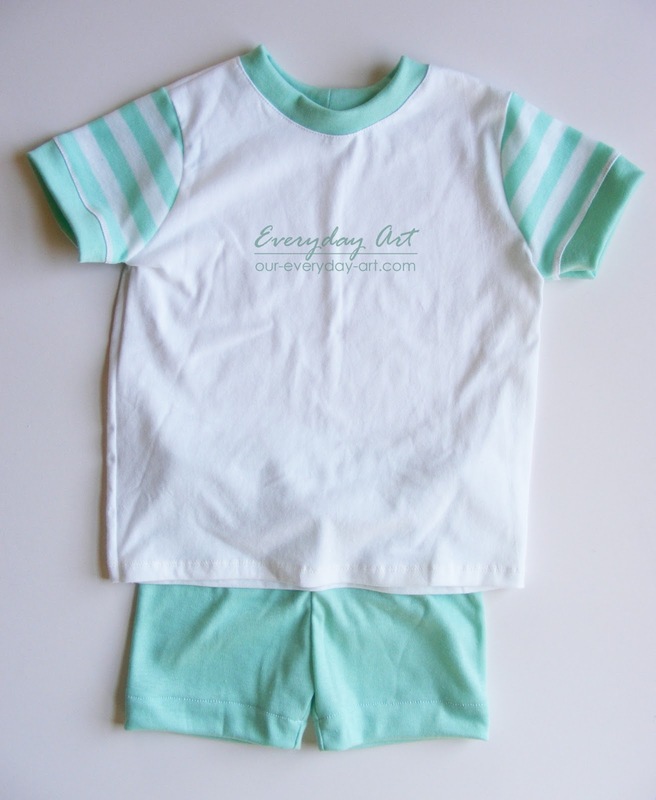 Everyday Art: Sew Summer Pajamas - for Girls! 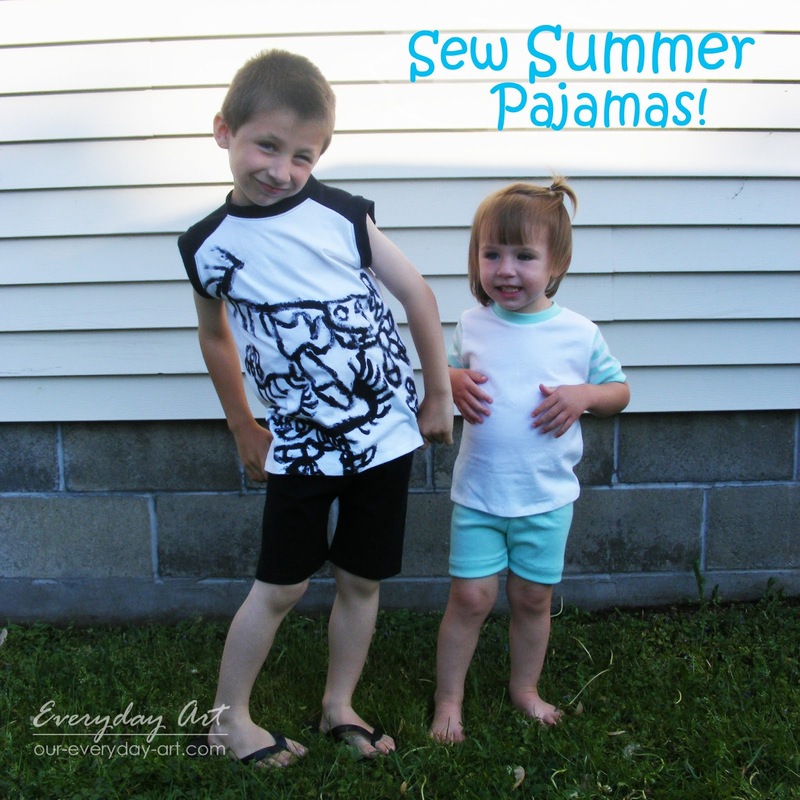 I shared the boy version of these summer pajamas earlier, now its the girls' turn! 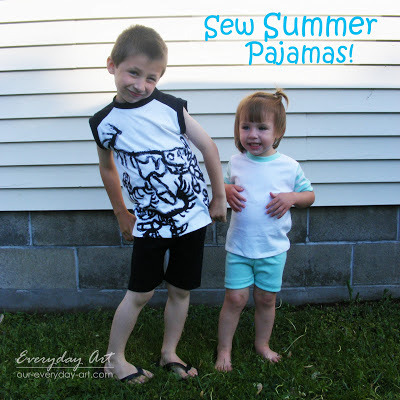 Like I explained in my last pjs post, my kids were in desperate need of some cooler summer pajamas now that the warmer summer weather has hit. I had the aqua solid and striped knits in my stash and used a clearance t-shirt for the white. 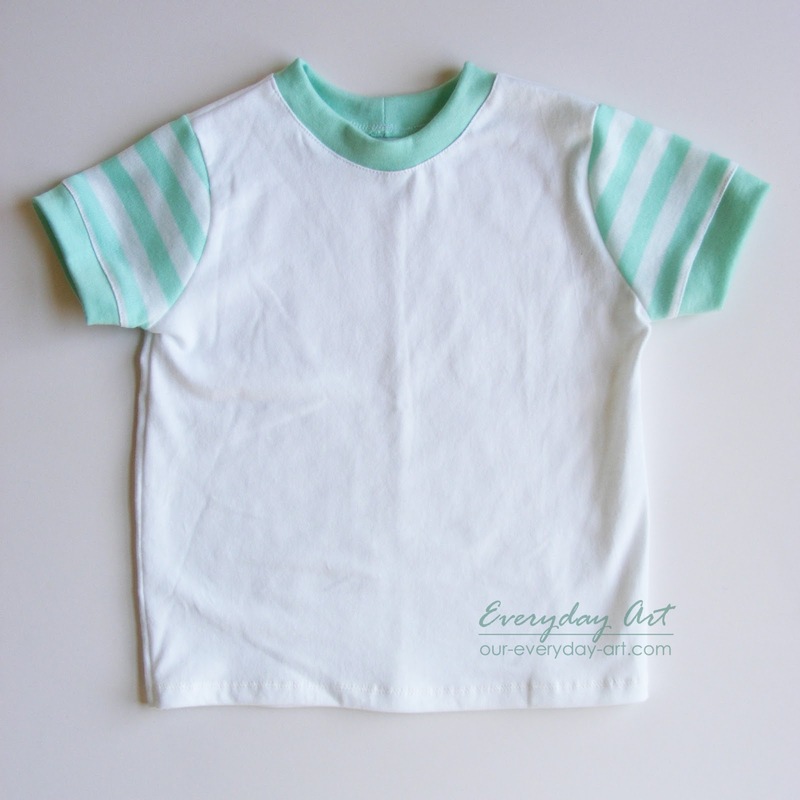 pattern to make the new shirt. Here's a quick description on how to sew a t-shirt. 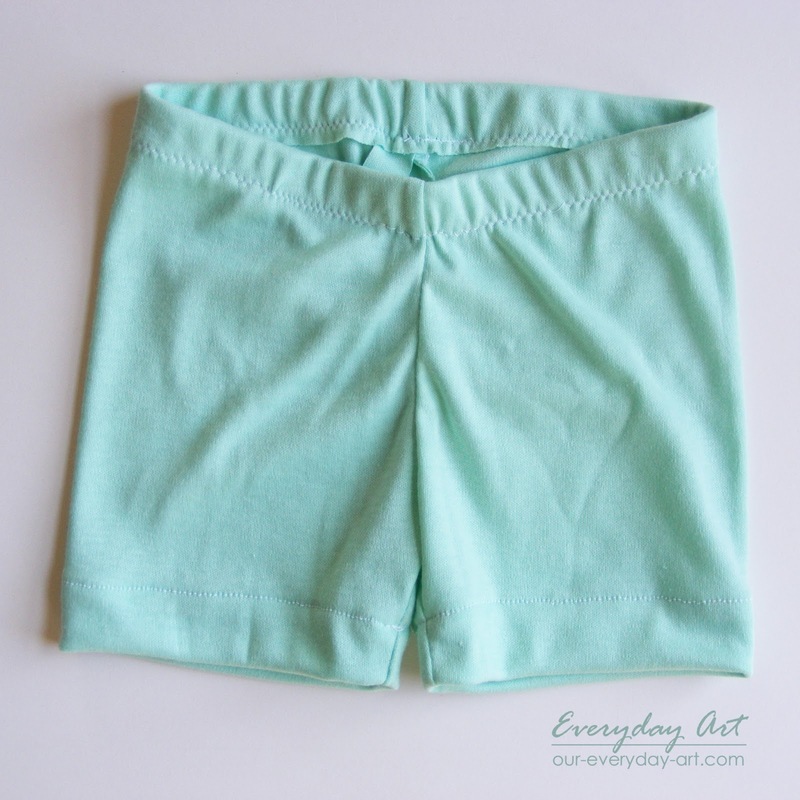 The shorts were traced from a pair of pants. This tutorial on sewing leggings spells out how to make your own. I just made the shorts a little looser than the leggings. And that's it! 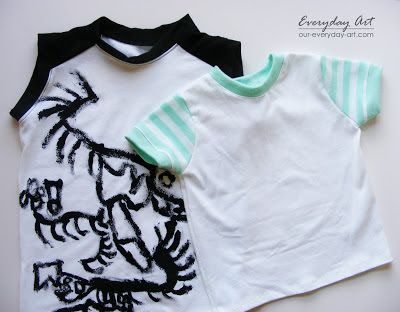 cut new summer pajamas for my little girl. All together I spent about $2 to make both pairs. 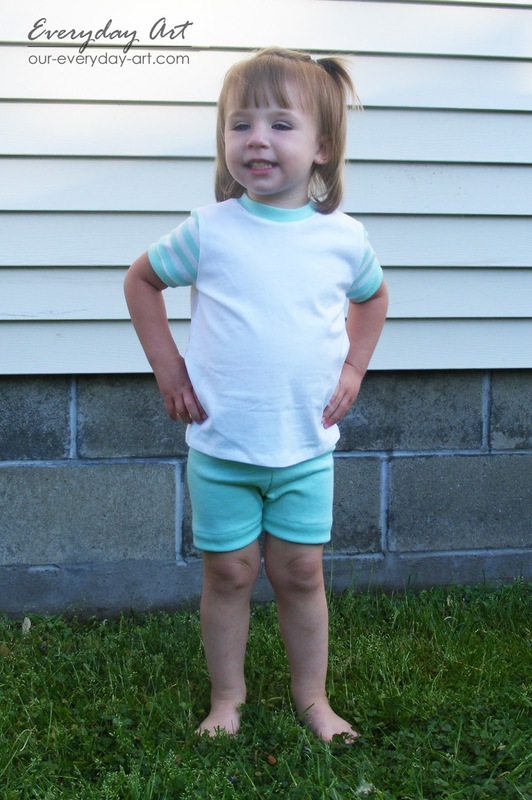 Here's my proud little model showing off her new look. Nice and comfy and happy.